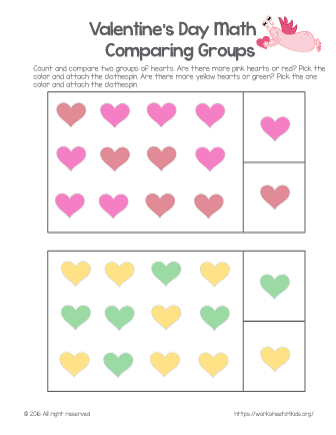 Count hearts in each box and subtract the specified number. 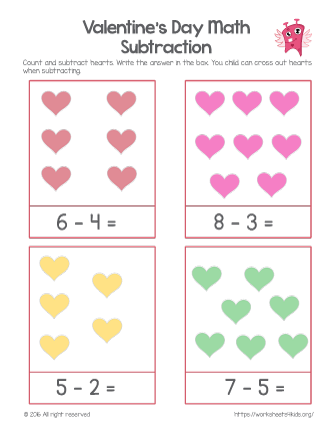 Cross out each heart while subtracting. Write the answer. 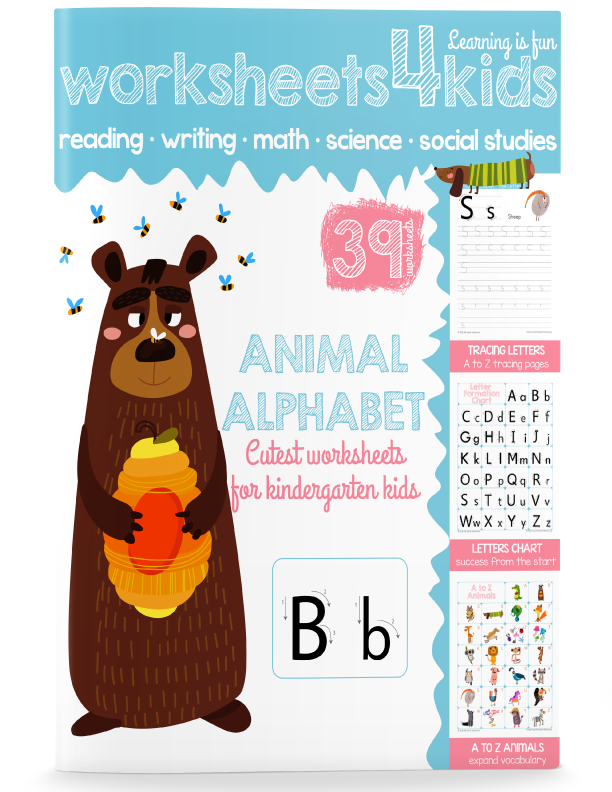 Learn to write with monkeys. 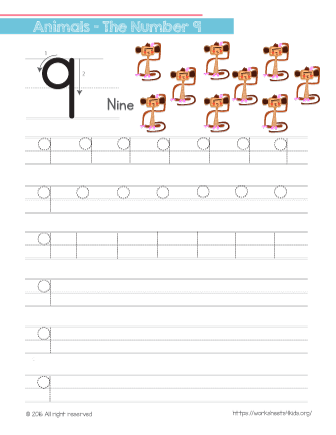 Have your child create an outline with his finger and practice tracing number 9. 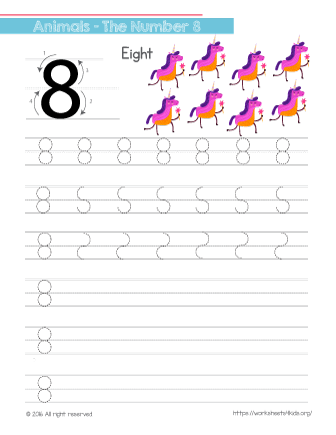 Learn tracing number 8 with unicorns! Have your child count and answer how many unicorns are here. 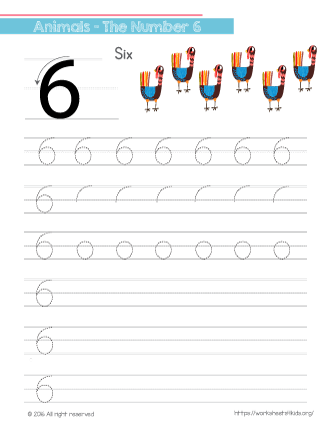 Learn writing and tracing number 7 with quails. 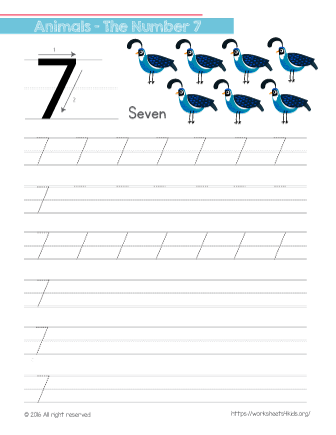 Let your child count animals and answer the question: "how many?". Wow! How many turkeys are here? 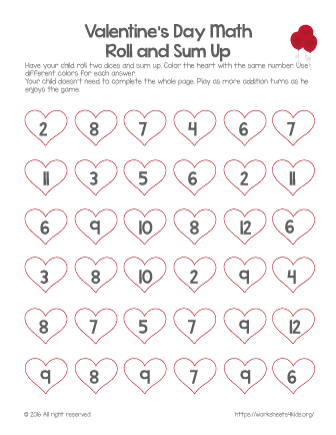 Let your child count them all. 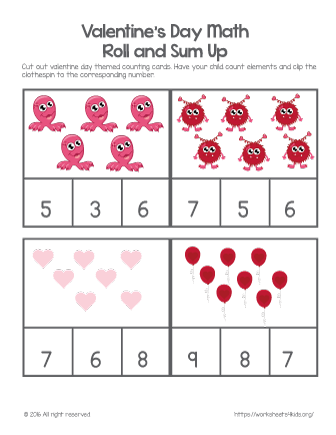 Create an outline, write the number 6 and more! 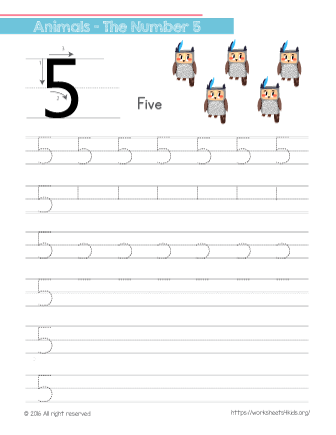 In this worksheet, your child will practice writing and tracing number 5 and connect counting to cardinality. Look! 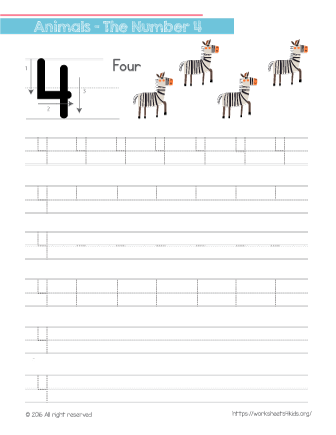 How many zebras are there? 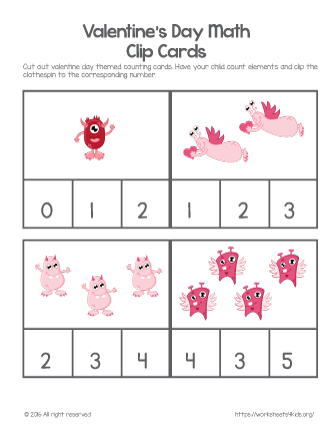 Direct your child to outline the number 4 with his finger following the directions. Have your child look at the picture! Does he know this animal? 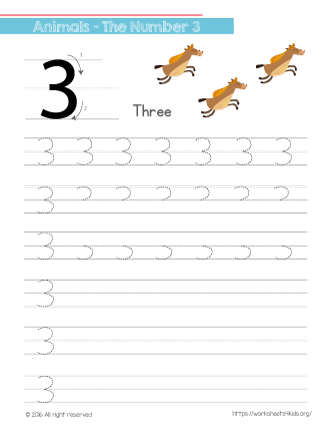 Direct your child to practice the tracing number 3.